Late last year Hilton Worldwide started a low-key two-month experiment in some twenty of its managed hotels in the US to charge guests $50 if they cancelled a booking any time after the reservation was made. The aim of this fairly draconian – for the hotel industry – measure was to gauge reaction to a more general tightening up of the rules governing room cancellations. 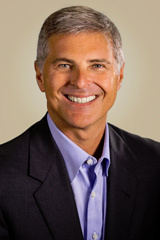 Not surprisingly guests affected hated the surcharge, according to Hilton CEO Chris Nassetta (pictured), who recently revealed the results of the trial to financial analysts following publication of Hilton’s 2015 final quarter results. Nassetta even admitted to the analysts that the $50 trial fee was rather a “blunt force” weapon. But this is not likely to stop Hilton from changing cancellation terms at some stage later this year. The global hotel chain with 760,000 rooms and over 4,600 hotels is still reportedly looking at other ways of how to prevent some travellers, in Nassetta’s words, from “gaming” the system. This primarily involves savvy travellers booking a guaranteed room with a hotel chain and then searching through Online Travel Agents (OTAs) – or one of the growing number of mobile apps offering late room deals – for a cheaper last-minute rate with the same hotel or another chain before incurring cancellation penalties. The is not Hilton’s first attempt to reset the system in its favour. Until January last year Hilton generally allowed many travellers – especially those staying in business hotels – the ability to cancel without penalty up to 1800 on the scheduled day of arrival. But at the start of 2015 Hilton changed its stance, imposing a penalty of one night’s room charge if the cancellation was not made before 2359 pm on the pre-arrival day. This was the minimum no-charge cancellation time as, depending on whether or not they could easily re-sell the room, other Hilton hotels could impose longer cut-off times for cancelling without incurring a penalty. Now Hilton is considering a tiered room pricing system for guests who want extra cancellation flexibility: they will pay more than those who are prepared to take the risk of having to cancel at the last minute and are forced to pay the one night charge. Nassetta told the analysts that the airlines had successfully shown that travellers will accept such a model of paying more for particular aspects of their flight that matter most to them and hotels should be no different. “What we want to do is make sure that on behalf of ourselves and our owners that we’re not tying up [room] inventory unnecessarily without customers having to take any risk or have any cost,” he added. But the tougher stance on cancellation policies is only one of the ways hotels are emulating airlines in their search for extra revenues. Preliminary estimates of the total fees and surcharges levied by US hotels last year suggested a new record of $2.47bn had been reached compared with $2.35bn the year before, according to the Tisch Centre for Hospitality and Tourism at New York University. Many of these fees and charges have been around for years, including the so-called resort tax which was introduced in the late 1990s by US hoteliers with properties in the Caribbean and other tourist destinations charging an extra fee for use of the resort’s leisure amenities. But over the years their imposition has spread to non-resort hotels in many cities worldwide to cover not just the use of a pool or gym but fundamentals such as basic wi-fi and even some aspects of housekeeping. Pressure, however, is growing to curb such mandatory fees. In the US Senate, for example, a bill has just been introduced – called the Truth In Hotel Advertising Act 2016 – to force hotels and OTAs to disclose at the booking stage any fees that may additionally be charged. And UK Business Secretary Sajid Javid this week started a formal public consultation process to establish whether consumers are confused by the complexity of terms & conditions imposed on them by companies, which could apply to hotels. But hotels are also becoming adept at finding new ways to levy fees, according to Bjorn Hanson, a professor at NYU’s Tisch Centre. He says that some of the newer categories of fees include charging for early check-in and for guaranteeing a specific room type (such as a room with a king bed rather than two queen beds). “Other of the more recently introduced fees and surcharges include charging for unattended surface parking in suburban locations and holding checked luggage,” he says. So, like the rejuvenated global airline industry, don’t expect the major hotel chains to forgo such revenue streams any time soon.